This is a really hectic time in my world right now. Until Saturday night, I had not seen one film during the week. I know…unbelievable, right?! For this obsessed movie buff, that’s completely unacceptable. But by Monday morning, I’d finally gotten through two — one, an Oscar-nominated animated feature from 2018 that I cannot wait to tell you about and the other, a documentary that I’ve been putting off watching even though deep down inside, try as I might to ignore it, I knew I needed to see this thing. Sigh. So I did. Here are my thoughts on this week’s films viewed. As always, thanks for reading. ~ Chris K.
I was sure when I saw and gushed my review for SPIDERMAN: INTO THE SPIDER-VERSE that I had seen the best animated feature of last year, and it did win that Oscar to confirm what I already believed. But… I must say after seeing this one, I don’t think it was quite the slam dunk that I once thought. I have not seen the original film WRECK-IT RALPH and was told by a friend that it wasn’t necessary to appreciate and enjoy this sequel that takes place six years later. All of that is completely true, although I really do want to see the first one now to better understand the birth of the friendship between the two leads Ralph played by John C. Reilly and the absolutely adorable Vanellope voiced so perfectly by Sarah Silverman. I’ve always loved these two actors in anything they do, so I knew I’d grow affectionate for the characters right away and I did. The basic premise (without giving too much away) is Ralph and Vanellope are characters in their own video games who are best friends, and they have grown accustomed to their everyday existence along with all of their other arcade game friends who exist deep within the power strip that keeps all of the old arcade games linked and lit up in old man Litwak’s arcade. Well, Vanellope is a little restless, but aren’t we all? When a chain of events puts Vanellope’s video game home in jeopardy, it is up to Ralph and his trusty sidekick to find the solution to all of their problems, and that will require them to venture where none of these arcade video game characters have ever gone before — gasp — to the Internet! I will refrain from sharing any more of the plot beyond that, but I must confess that when I realized where this film was taking me, I was on the edge of my seat. After all, how many films can you name that have successfully depicted a visual interpretation of what the internet would “look” like?! This film does it — and does it ever! I was absolutely mesmerized by the journey the two take — I was completely being taken on the ride with them. I know this is a film I will be watching again and again to see what I missed the last time around because when they venture into the universe that is the internet, it is like eyecandy for filmgoers. We get to witness something onscreen we’ve never seen before or imagined. It is breathtakingly beautiful, exciting and fun. This film has some of the sweetest, most tender moments and others are pure joy to watch as the events unfold. One of the biggest treats of all I cannot spoil for you, but let’s just say these filmmakers did their absolute best to to make the most out of Disney’s greatest assets at every turn and what that translates into are scenes of such cleverness and whimsy, you too will find yourself mouth open, grinning from ear to ear as I found myself when each surprise character magically enters the scene. You don’t know how tempted I was to list horror under the film genre categories. A part of me found all that I was watching completely terrifying — as a citizen seeing how much one man and his ideas put in motion could completely twist a political system to his liking, as a Democrat definitely, but mostly as a human being at watching the lengths a person will go to get recognition, wealth and an ego stroke of Godzilla-size proportions. But then again, as a true fan of documentaries, I also found this film fascinating fodder as it traces the evolutionary path of political advisor Roger Stone’s life and career, and of his strategically aimed and painfully sharp marketing darts we get to witness in motion and hold up to the wonderful blinding light of hindsight. Yes, you’re reading right. I didn’t want to like this documentary because I cannot stand the subject matter but that doesn’t make him any less interesting a character. In fact, sometimes as I was watching this film, I had to remind myself that he was not a character (though often he seems cartoon-like) but that is, in fact, a living, breathing human being sharing these thoughts including his famous list of Roger Stone’s “rules” which read like a thug’s how-to manual or better yet, if Mario Puzo’s Don Vito Corleone had penned Machiavelli’s The Prince. Obviously, I was well aware of what Roger Stone had been up to in his spare time during the last election and since, as he has been a frequent guest star on the evening news while he faces possible federal charges. (It was especially amusing every time fellow future convict Paul Manafort chimed in with his take on Stone during the film. What a boon to have that guy tossing kudos your way, right?) But I am not a student of political history, so I was not aware of Stone’s work with past campaigns, and found this background history compelling and it helped me better connect the dots about who Roger Stone is and why he ultimately continued on his path to the 2016 Trump campaign. If you enjoy watching documentaries, you too will likely find this one like the fender bender on the side of the road. It’s just too hard to look away. And if you are a news junkie like me or have an interest in politics past and present, you will definitely find some fascinating nuggets in here, too. 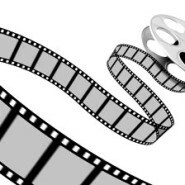 Share the post "Movie Mondays ~ Monday, March 18, 2019"